The SDC LR100 Series Electric Latch Retraction Kit enables electric access control and dogging of mechanical exit devices. 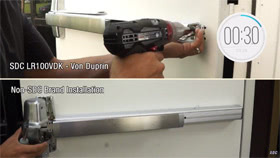 When energized the motor retracts the exit device latch and pulls the pushpad on most devices into the dogged (depressed) position enabling momentary or sustained push and pull operation of the door. 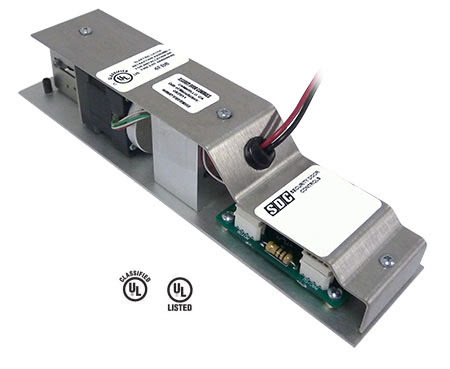 SDC LR100VDK-EM External Module. Designed for Von Duprin Devices cut down to 30".